If you are not into blue or pink but prefer natural colors, it might be difficult to find stylish accessories for a nursery. 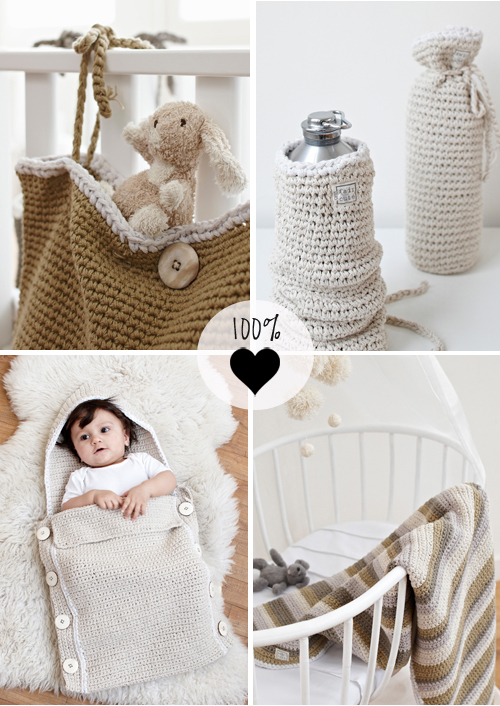 I had this problem and I am very happy to have these beautiful, handmade accessories for nurseries and kids room now available from Le Souk. All items are handmade by women in Nepal who are offered a fair salary and good working conditions. I love the soft and warm feel the products have and the subtle colors. 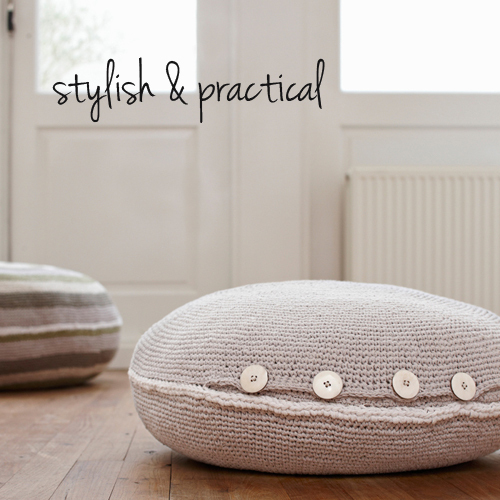 All accessories have beautiful details such as wooden buttons. 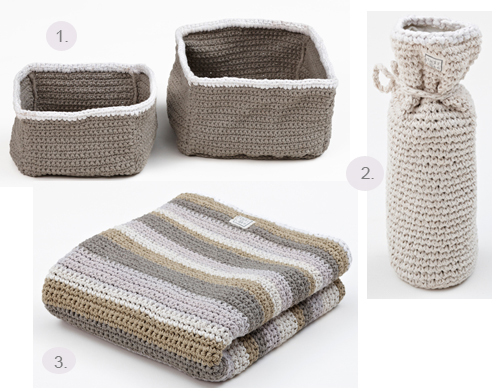 Available products: pillow/pouf (top image), storage basket (item 1 below), bottle cover (item 2 below), blanket/bedspread (item 3 below), bunting bag with fleece lining and a storage bag. You can find all items here at Le Souk. More natural style nurseries and kids room can be seen on this Pinterest board that I created.